When looking for a center of paintball fun, take into account the amount of playing field a company has set aside for shooting action. 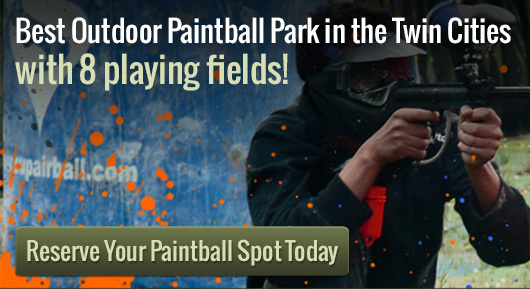 The best choice in paintball arena play always includes diversified and smartly laid-out grounds where players of all levels of paintball player skills have the chance to exercise their love of real-life, color-intense shooter scenarios. In short, the bigger the paintball arena, the better the combat experience. Action Packed Paintball Games has a fun and challenging outdoor course with various historic and skill-oriented courses. Action Packed Paintball Games is the premier course in Minnesota offering physically challenging scenarios for the paintball expert and new recruit.